We mostly pay for one thing related to our travel before we arrive our destination. It's the accommodation issue that we are worried about while we plan our trip. You don't need to worry about places to stay in Barcelona city. Anyone can find a place to stay at reasonable prices in any season. In this article we will give information about some fine hotels in Barcelona city located around the centre of the city. As we mentioned before, Las Ramblas, Plaça De Catalunya, Barri Gotic are the centres of the city. Beside these locations you may want to have a look at hotels nearby beach. We will give detailed information about hotels located at different places of Barcelona city. These below five star hotels in Barcelona provide you nearby subway access easily. 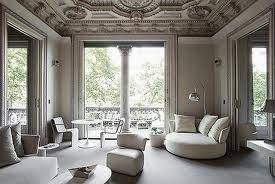 It may be far from the centrum of the city a little but if it's not a problem for you to take a taxi from the hotel you can choose this elegant accommodation option during your Barcelona travel. 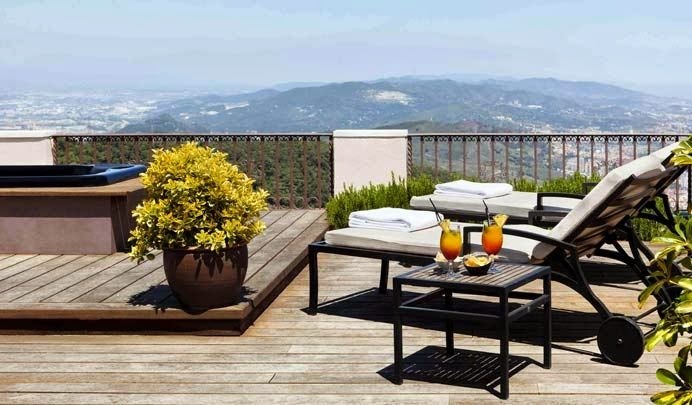 It provides many services you wish and make your trip unforgettable.It has amazing landscape facing Tibidabo mountain. If you want take metro then you should use Vallcarca, green line,L3. This hotel is exclusively at your service and offers a fantastic view on the sea front. It places in Marina street ( Carrer de la Marina) . You can arrive the center of the city in ten minutes on foot. If you want to use metro, please take Ciutadella Vila Olimpica line. 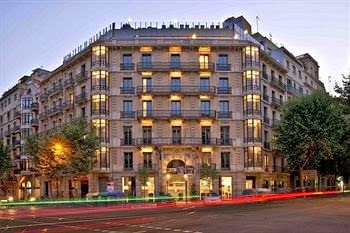 Located on Barcelona's most popular boulevard Passaig de Gracia, El Palauet Living Barcelona hotel offers you magnificient choice for your stay during Barcelona travel. The hotel represents both Catalan version of Art Nouveau and ancient times. It's suitable for your exclusive stay. You can walk through into centre of the city in a couple of minutes as Passaig de Gracia is centre of the city itself and also it's easy to see the hotel as it locates three blocks south of Gaudi's amazing work of art Casa Mila.